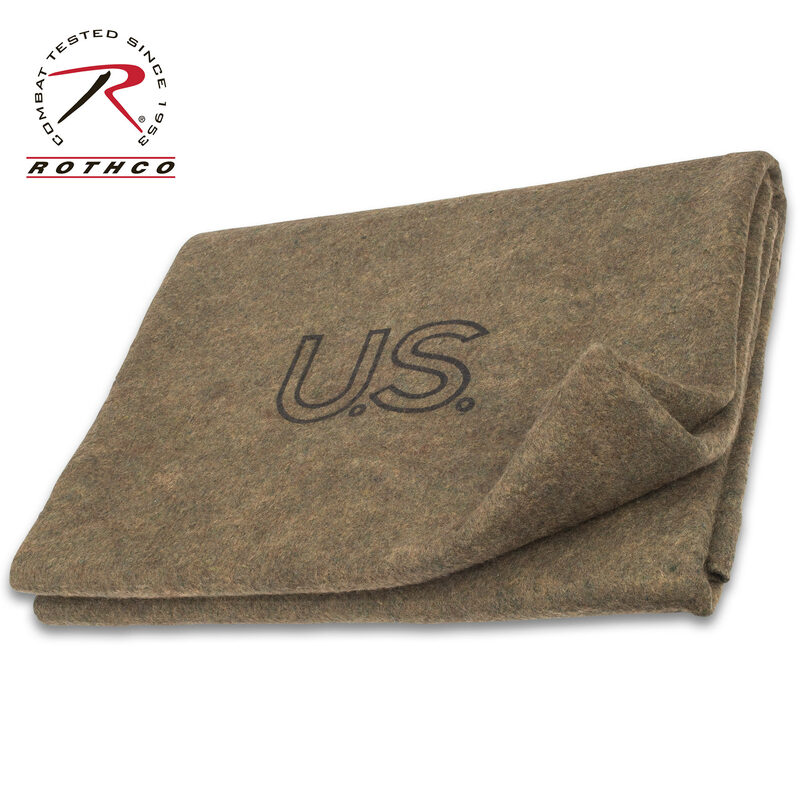 Rothco Olive Drab Wool Blanket - Made In The USA, Naturally Fire Retardant, Virgin Wool Construction - 62”x 80” | BUDK.com - Knives & Swords At The Lowest Prices! 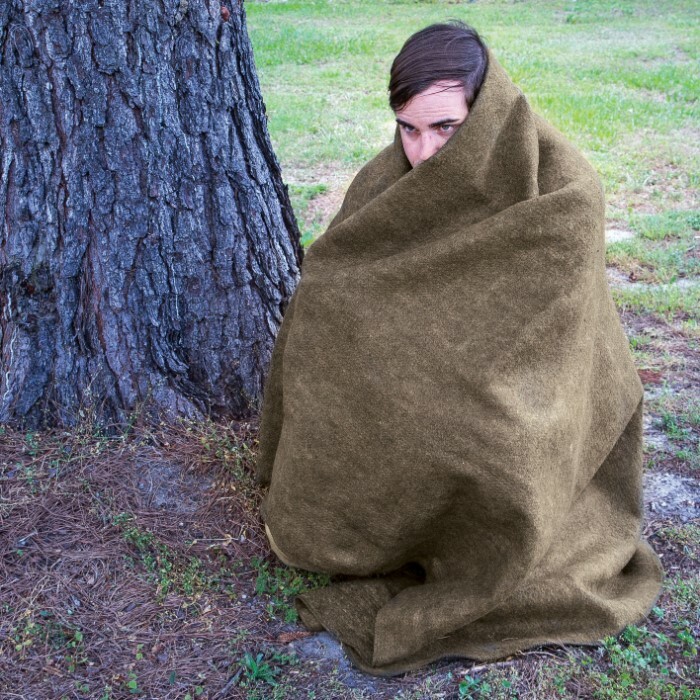 Stay warm and cozy anywhere with the oversized Rothco Olive Drab Wool Blanket. It was made in the USA with 70 percent virgin wool and 30 percent synthetic material. Since it’s made of wool, it is naturally fire retardant and retains its insulating abilities even while it’s wet. It measures 62" x 80" and features “U.S.” printed on it. Use it as a throw, to add warmth to a sleeping bag, for boating, outdoor sporting events and as an emergency blanket. The uses are completely endless!